The project was launched at the initiative of and through financial support (EUR50,000) of the Ministry of Trade, Tourism and Telecommunications. The 18-month project was further supported through the European PROGRES development programme, with additional EUR300,000. The key results of the project were the preparation of the missing planning documents for over 700km of infrastructure corridors covering the territory of five local self-governments in the area of ​​Golija, whereas a proposal for a management model and a pertaining action plan for development of the mountain have been defined in consultations with stakeholders. The planning documents will enable further development of technical documentation period and lay foundations for the implementation of infrastructure projects. 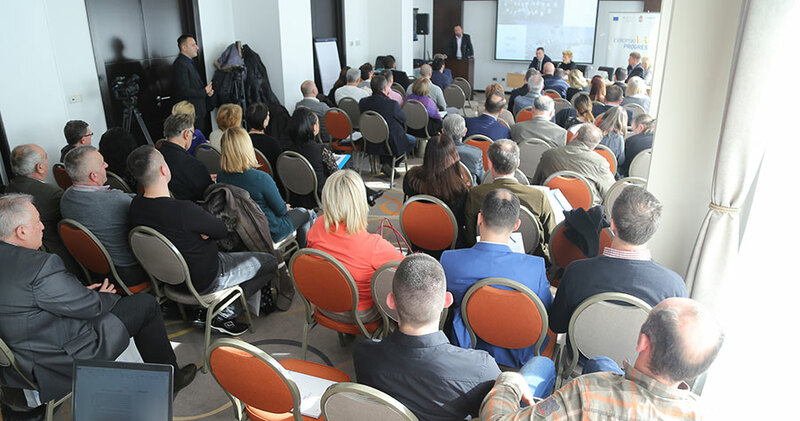 Action Plan for the development of Golija has been drawn up in workshops, participated in by over 130 representatives of relevant ministries, institutions, five local self-governments, private and civil sector, as well as individuals interested in further development of this area. The plan defines priorities and key projects for a five-year period (2018-2020), responding thus to challenges and tapping into local potentials of the Golija-Studenica Biosphere Reserve. The Action Plan envisages development of road infrastructure, improvement of waste management system, natural hazard risk management, as well as economic empowerment of local population through promotion of entrepreneurship and improvement of agricultural production. Regarding the management of Golija, the priorities include a review of the Golija Nature Park Protection Study as well as a review of the special purpose spatial plan for Golija. “Protected areas are among the most attractive tourist destinations; therefore, the needs of local population and development of the area should be brought in line with environment protection, while the area should be considered as a natural asset and not as an exploitation resource,” said Aleksandra Doslic, Head of Nature Protection and Climate Change Sector within the Ministry of Environmental Protection, stressing that environment protection is a responsibility of all relevant ministries and can be achieved only through cross-sectoral cooperation. Golija is one of Serbia’s most valuable assets with a development potential at both national and local levels, said Graeme Tyndall, European PROGRES Programme Manager, adding that during the implementation of the project, the Programme draw particular attention to the principles of good governance that are crucial for sustainable development. “Active participation of all stakeholders was of particular importance as it allowed us to find quality solutions for development management and secured support of the wider community. I believe the results of the project will serve as best practice examples for other protected areas,” Tyndall said. He added that the United Nations Office for Project Services (UNOPS) in Serbia, in charge of implementation of the European PROGRES, looks forward to partnering up with stakeholders on any future project focused on sustainable development of Golija. 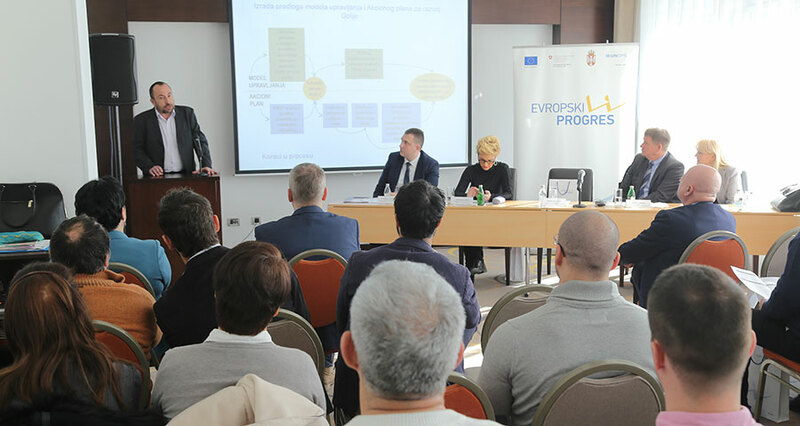 The municipalities included in the programme – Novi Pazar, Ivanjica, Nova Varos, Priboj, Prijepolje, Raska, Sjenica and Tutin in southwest Serbia, as well as Prokuplje, Blace, Zitoradja Kursumlija, Leskovac, Bojnik, Vlasotince, Lebane, Medvedja, Crna Trava, Vranje, Bosilegrad, Bujanovac, Vladicin Han, Presevo, Surdulica, Trgoviste, Brus, Aleksinac, Gadzin Han, Doljevac, Merosina, Svrljig, Babusnica, Bela Palanka and Knjazevac in southeast of the country.